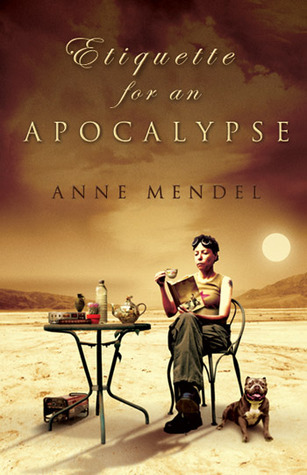 Etiquette for an Apocalypse by Anne Mendel. Publication : April 22nd 2012 by Bracket Press. It’s the 2020 Apocalypse and Sophie Cohen, former social worker turned neighborly drug dealer, must keep her family alive amid those pesky end of the world issues: starvation, earthquakes, plagues, gang violence and alas more starvation.She investigates a serial killing and takes down the sinister emerging power structure while learning to use a pizza box solar oven, bond with her chickens and blast tin cans from the perimeter fence with a Ruger 9MM. In order to accomplish all this she must find a way to love her mother, accept her daughter’s adulthood and reignite her moribund marriage. She might discover that a decentralized, consensus driven life—without fossil fuels, iPhones and chocolate éclairs—isn’t the end of the world, after all. X, thank you so much for asking me to guest blog on Kindle and Me. I’ve just published a book, Etiquette for an Apocalypse. It’s a post-apocalyptic/mystery/thriller/comedy. I had many reasons for writing a “harrowing and hilarious” (at least this is what the reviewers say) book. To start with, 64% of Americans are not ready to deal with a three-day emergency. So, not many people are ready to deal with long term emergencies. That’s why learning skills, such as how to tie a good knot and plant a garden are so important to learn right now. Also, building personal resilience and making friends with your neighbors (remember to take them chocolate chip cookies today) are key. Many of us have lost our survival instincts. I would probably last two or three days in an apocalyptic scenario. It’s sort of a “do as I say, not as I do” thing for me. I’m the Clark Kent who never figures out how to become Superman. My protagonist, Sophie, is my alter ego. She is street smart, practical and resilient. I’ve learned how to water-proof matches, make a fire with pocket lint and shoot a gun. I’m also very good at reading books on survival; and above that, writing books on survival. But no one, I mean no one, knows who they are or who they can become until they are faced with the situation. Most of my main characters are women; but I do think both men and women bring different strengths to a dire situation. It depends on the crisis. If it has to do with competition, violence and aggression, I’ll probably choose a man. They have 50% more upper body strength than women and a mass of testosterone. I have a growing appreciation of that fact. But, if we’re talking about compromise, negotiation, cunning and improvisation, I’ll take a woman. That’s not to say there aren’t remarkable men and women who can do all these things. Hard times can push all of us to be our best or worst selves. Men, women, families and communities can bond or they can be torn apart. That’s where learning resilience skills comes in. For example, I’m working on upping my tolerance for people who drive me crazy. I’m trying to grasp what puts certain people on the short list to extinction and figure out the skills that make a person valuable in hard times. You know how we make fun on Basket Weaving 101 and think Intro to Philosophy 101 is important? Knowing how to Basket Weave will bond you to your tribe—Knowing about Descartes and existentialism or being charming or beautiful, not so much. And lastly, why did I make it a comedy in the middle of such tragedy? While not as important as clean water and gorp, laughter is a major component of resilience. If you can make people laugh, they will keep you around even if you can’t grow things or make a bug catcher for termite soup. Winner'll be picked on May 31st, 2012 and has 36 hours to respond before a new one's picked. I'm in no way responsible for the shipment of the book. It's the author/publisher's responsibility. Anne Mendel grew up in Arkansas and actually attended Miss Ashleigh’s Charm school. She learned nothing about dealing with disasters, (unless breaking a high heel is a disaster). Before she began writing full time she was a community organizing advocate for women and girls. Mendel’s two sons are in college. She lives in Portland, Oregon with her husband. 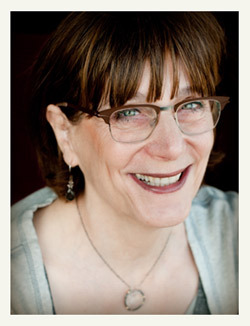 Her muse is her dog Humphrey. I love them. I don't mind a little comedy, it lightens the mood a bit. My favorite so far has been The Hunger Game trilogy. And humor is always a welcome addition to any story if done right. I do love post-apocalyptic books. My favorite is either Ashfall or This Is Not a Test. I haven't read one so far, but I will. Thank you for the international giveaway! Thanks for this giveaway, it looks really interesting! I actually like post-apocalyptic books. My favorite series is Deathlands by James Axler. A little comedy is always welcome in a book. It breaks up the tediousness of a too serious book. post apocalyptic books are the new thing! And I don't think you can have an apocalypse without some kind of humor. My all time favorite is The Stand by Stephen King. And yes I like some humor in a post-apocalyptic story. Especially when it makes you engage and like a character. I like sarcastic humor the best. I totally like the humorous side of it. It's something people take so darkly, and I appreciate anything that adds laughter. I haven't read many post-apocalyptic books and I am trying to change that. I like an alternate world to visist. I also like some humor in books and even in dark reads they can help ease some tension. Love post-ap and dystopian novels - favorite right now is Pure by Baggott! Prefer more serious reads, but I think comedy can be refreshing. I don't mind a little comedy in post-apocalyptic books. I like Shatter Me,Blood Red Road and Angelfall. I like post-apocalyptic books a lot. I read Delirium, Shatter me. Not so many books because I don't have time but I love them, so not a favorite yet. A little comedy...I think is essential! I love apocalyptic/post-apocalyptic books for their action!! My favorite now is Uglies series, Starters by Lissa Price and Hallowland by Amanda Hocking! All the action keeps me entertained! I love it when jokes are pulled in the books. Comic relief is always a good thing! I haven't read one so far, so i don't know i like or not. But i enjoy a bit of comedy in the middle of an apocalypse, it make refreshing for story. I like post apocalyptic books but they aren't my favourite genre. I do really love comedy though so I think it would be a good additon to any book ! I enjoy them! I loved The Hunger Games trilogy. Humor is always good!